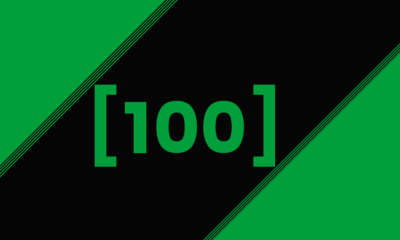 We have picked a diverse list of players for the third edition of the feature, across all six footballing continents and narrowed it down to 100 of the best young players that we think you should keep an eye on. 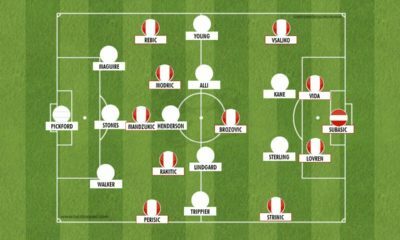 This feature is divided into 10 articles which help us divide the list positionally (10 goalkeepers, 30 defenders, 30 midfielders, 30 forwards). Introduction: It’s been a fantastic 2015 for Per Kristian Bråtveit, who continues to impress between the posts for Tippeligaen side Haugesund. Despite only being 19 years old – the youngest of all the Norwegian top-tier’s first-choice goalkeepers – the homegrown talent has proven to be a fantastic replacement for ageing fan favourite and former captain Per Morten Kristiansen after rising to the top, three games into last season. From then onwards he played every minute of every league game as he helped his side to a respectable 12th-place finish, whilst also battling for top spot in Norway’s talented U21 team. Analysis: What Bråtveit lacks in height – he stands at just over six feet tall – he makes up for in agility and athleticism. He impresses in the air, possessing a fantastic leap that results in him commanding his penalty area with confidence, whilst his quick footwork allows him to get across the face of goal far faster than many of his taller and less agile contemporaries. 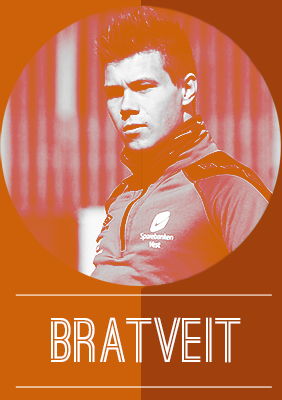 This was showcased throughout last season – a tough one in which Bråtveit was put under plenty of pressure due to Haugesund’s struggles just outside of the relegation zone – when he pulled off a plethora of fine saves, particularly when dealing with long-range efforts, which showcased that he is a natural shot-stopper who enjoys flying through the air with his limbs outstretched. However, he is arguably at his best when dealing with danger inside his box, as he possesses wonderful response time and quick decision-making skills when presented with close-range shots. Earlier in the year he travelled to Madrid to spend a week observing his role model Iker Casillas, and it is no wonder that he models himself on the Spanish shot-stopper, as his agility and commanding presence inside the penalty area – not to mention his average height and frame – are very similar to the 34-year-old. Looking ahead: Haugesund is certainly the best place for Bråtveit, as their precarious position in the bottom half of the table has kept him busy, to say the least. As one of Norway’s most impressive talents, regular and interrupted football is exactly what he needs, as the rapid improvement that he made over the course of last season is only set to continue next year. Introduction: Born on 1st October, 1995, Valentin Cojocaru is a highly rated Romanian goalkeeper who plies his trade at Steaua Bucharest. The 20-year-old started his career at city rivals Dinamo before making the switch to his current club. The ‘keeper also had a trial at Liverpool but squabbles about the price of the transfer allegedly put paid to this hopes. Analysis: Goalkeepers tend to have to bide their time before getting their opportunity with the first team and it has been no different for Cojocaru. What has helped the young Romanian ‘keeper is his physical development. Even at just 20, Cojocaru’s imposing physical presence is an attribute he can call upon in the penalty area. Groomed to be the long term number 1 at Bucharest, Cojocaru has also built a reputation of being a tough man to beat from the penalty spot. This ability came to the fore in the recent cup game against FCM Baia Mare. The teams couldn’t be separated after extra time and Cojocaru emerged the hero as his side sealed progress in the competition via a penalty shoot-out. Despite his obvious talent, there have been a few murmurs about his work ethic and willingness to apply himself in training. 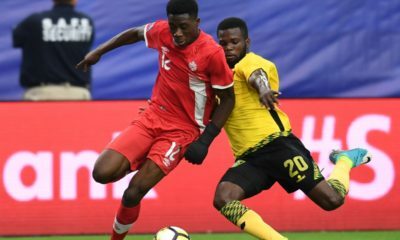 Former teammate, Giedrius Arlauskis wasn’t very complimentary when it came to Cojoracu’s attitude and one can hope that if the criticism is indeed warranted, the young ‘keeper will learn from past mistakes. Looking ahead: The immediate goal for Cojocaru will be to nail down his spot in the starting XI in Bucharest. With most young players in lesser leagues, the focus will be on getting the next big move but there’s no hurry especially with goalkeepers. On the national front, he’s yet to be capped at a senior level but it looks like a question of when rather than if. Introduction: Making his starting eleven debut at the age of 16, Gianluigi Donnarumma has become a fan favourite amongst the Rossoneri faithful and a name commonly thrown around by football aficionados when talented goalkeepers is the subject in cause. The 1999 born has been starting for Milan since late October, surpassing the record for the youngest goalkeeper to ever start a Serie A match. Having spent his entire life idolizing Buffon and supporting AC Milan, it’s now his turn to start making history for the Rossoneri. Analysis: With an impressive frame of 1.96m – even more so for someone as young as he is – Donnarumma knows how to stand in between the posts. The impressive reflexes are definitely one of his stand out characteristics but you could possibly attribute that to the majority of young goalkeepers. The mental traits are what distinguish Gianluigi from most of his counterparts. Knowing how to lead your backline is absolutely crucial for a professional goalkeeper, and it’s a trait commonly improved through their careers. But the Italian teenager – incredibly mature for his age – knows how to stand composed, showing strong communication skills and mutual understanding with his defensive partners. If it’s already incredibly difficult for a young goalkeeper to step onto the starting eleven of a Calcio “title candidate”, it’s even harder for that youngster to conquer the trust of his defensive partners as quickly as Donnarumma did. The once shaky Milan defence has only conceded thrice in the 16-year-old’s first 6 matches, with 3 clean sheets being kept by him. 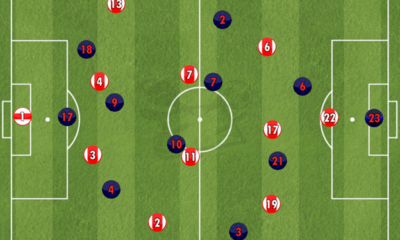 Of course that there’s immense room for improvement, especially when it comes to defending crosses and long balls. But due to his combination of technique and physical frame Gianluigi is really capable on 1v1’s, and his talent is absolutely undeniable. 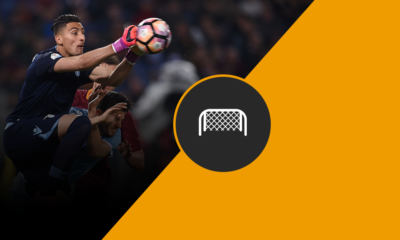 Looking ahead: Starting at such a young age, the Italian definitely reminds us of other goalkeepers who started plying their trades in the biggest European stages during their teenage years, such as Casillas or his idol Buffon. And it doesn’t seem that he will lose his starting spot anytime soon, since none of the other Milan goalkeepers bring anything to the team that the teenager doesn’t. Plus, the fact that Abbiati is getting closer and closer to his forties and that Diego Lopez tends to be quite injury prone, also help the youngster stay in goal. The experience of these two goalkeepers will be extremely important though, passing down their knowledge of the game in basically every practice. National team wise, he’s already getting called for the Italian U21 side. This may not sound overly impressive but we can’t just overlook the fact that he is only 16 and that there is a plethora of young goalkeeping talents from Italy at the moment. The talent is immense, the competition is intense and the career is only starting. Only one thing is guaranteed: it will be a joy to witness Gianluigi Donnarumma flourish. 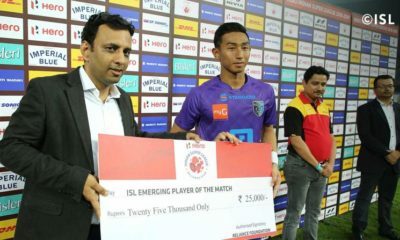 Introduction: When a goalkeeper makes his debut at the age of 16, it is something to be remarked upon in the world of football; Milan’s Gianluigi Donnarumma earned notice in the Guardian, the BBC and various other avenues upon his debut earlier this year, and Toulouse’s Alban Lafont has earned similar plaudits from France’s biggest news outlets. 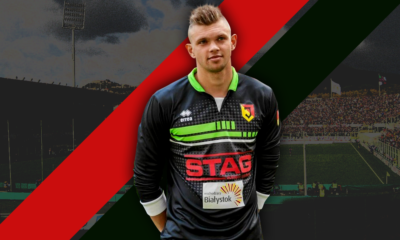 Tucked away in the Polish first division, Jagellonia Bialystok’s Bartlomiej Dragowski has thus far avoided any such hyperbole, despite leading his unfancied team to an unlikely place in the Europa League last season. With leading scorers Mateusz Piątkowski and Patryk Tuszyński having departed in the window, this season has been a bit more difficult for the club, but Dragowski has continued to impress. Analysis: Despite his young age, Dragowski is an impressive specimen, standing nearly two meters tall and fairly well-developed physically. Much like his compatriot Wojiech Szczesny, his good size and reflexes combine to give him a great range, although without the former Arsenal man’s proclivity for errors. Indeed, Dragowski is almost preternaturally calm whether rushing off his line to claim a corner or racing to meet an attacker. Superb in one-on-one situations as well as getting down to deal with shots from distance, the youngster is very skilled at using his body to hinder opponents, showing a great athleticism despite his size. Rarely caught out of position, Dragowski is already doing well the things that often take years to develop, but he isn’t the finished article yet. While his reflexes are certainly one of his better qualities, he can be over-reliant on them at times, leading to him often punching the ball rather than trapping it and starting his team back up the field. His kicking and distribution are also adequate, if not excellent, but an increased training regimen should help with these issues. Even so, it is no exaggeration to say that should his improvement continue apace, Dragowski could be one of the world’s very best in the next five years or so. Looking ahead: Already well-established in Poland’s youth ranks, it will take some doing to unseat the likes of Lukasz Fabianski, Artur Boruc andWojiech Szczesny, despite what fans of their club teams might have you believe. 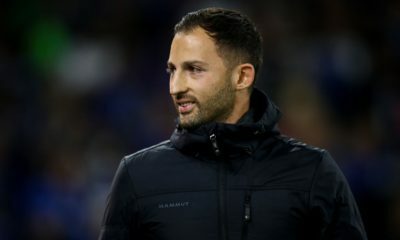 However, with Poland having done well to qualify for the summer’s European Championships, there is a decent chance that should his form continue, manager Adam Nawalka could take him as third choice, to gain the experience of being at a major tournament. However, with Poland set to host the next Under-21 Championships in 2017, failing being drafted into the senior squad, he will surely get his chance to impress on a bigger stage in eighteen months’ time. In the meantime, a move to a bigger club and helping the U-19s qualify for next summer’s championships in Germany are his immediate goals. Introduction: Eye-catching performances during the U20 Sudamericano at the beginning of the year earned Guruceaga the Golden Glove award and the young stopper has not looked back since. Following a solid U20 World Cup with Uruguay, Guruceaga became first choice at club side Peñarol and played every minute of their Apertura-winning campaign, consolidating himself as the number one for the Montevideo giants. It has been a meteoric rise for one of the best goalkeeping prospects in South America and looks to be the start of a highly promising career. Analysis: Standing at 1.94m and sporting a shaved head, what is immediately evident is Guruceaga’s strapping, intimidating physique. He is a formidable barrier for opponents to beat and he thrives in one-on-one situations due to his deceptive speed when coming off his line and, according to coach Carlos Nicola, “the strength he has in his legs, which allows him to hold his position and not commit himself”. Without descending into hyperbole, there are definitely shades of Schmeichel about this particular aspect of his game. A commanding presence in his box, Guruceaga’s strength also allows him to confidently claim crosses and deal with high balls under pressure, though overeagerness can occasionally result in the odd misjudgement. Despite this solid frame, he still possesses good technique and is a great shot stopper with impressive reflexes. Another of Guruceaga’s best attributes is his mentality and character. His confidence, stemming from his physical and technical qualities, means he adopts a very proactive, positive style of goalkeeping, and in turn this breeds the same sense of calm to the defenders in front of him. Furthermore, the impressive way he has handled the pressure of taking the Peñarol number one jersey before the age of 21 suggests a maturity beyond his years. There is still the rare error that comes with youth and he is not the most comfortable with the ball at feet, but in general Guruceaga is a very safe pair of hands with all the traits to succeed at the very highest level. Looking ahead: After such an impressive 2015, it will hard to replicate last year’s achievements. At club level, Guruceaga will look to retain his spot as first choice for Peñarol, with the added test of a first Libertadores campaign. Meanwhile, for the national team, it may be too early to expect him to break into the senior set up but a more realistic goal will be a starting berth in the Olympic team for Rio. Introduction: Narrowly missing out on the top spot of the 2014 edition of this feature, Hassen has gone from strength to strength in the last year after making his breakthrough the previous season. 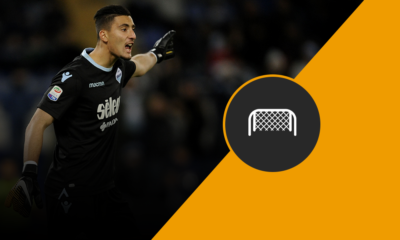 Playing in Claude Puel’s Nice side that has provided entertainment in a more open Ligue 1 this season, Hassen has firmly established himself as his club’s number 1 between the sticks despite a shaky defence in front of him. Analysis: Hassen’s performances belie his age. 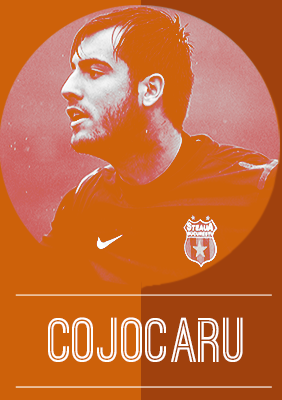 At just 20, he possesses assuredness and confidence in goal, one that allows his team to go forward more often. Even though Hassen does not keep many cleansheets, that cannot be completely attributed to him, given his tender age and Nice’s status as a club. One aspect of his play that he will definitely need to work on is his discipline, having collected the one red card this season during the league, criminal for a goalkeeper. His long passing is another attribute which is a slight weakness, one that he will be able to work on as time passes. However, weaknesses in his play are expected for a keeper of his age. What is significant is that Hassen has taken over the big shoes left behind by David Ospina, with his reflexes and his command of the penalty box helping him to seamlessly take over the No. 1 spot at Nice. With time, it is only expected that a keeper like Hassen will benefit from playing regularly, finetuning his strong attributes and working on his weaknesses in order to become a top-level goalkeeper. Looking ahead: While France have many young promising goalkeepers like Areola and Nardi, Hassen has the potential to contend for the France national team in the near future. 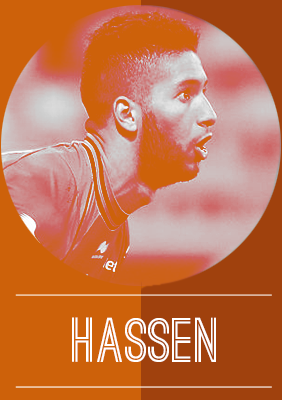 Having already made his debut for the French U-21 team, it is clear that Hassen is benefitting from a starting spot in a fairly competitive team. His potential is immense and with a few seasons of development at Nice, there is no reason why he will not become a starting keeper at a top club in the future. 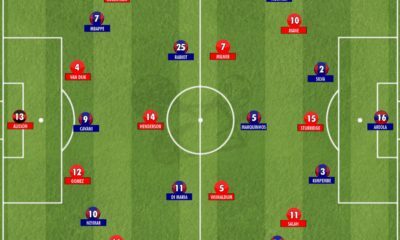 Introduction: After making four sporadic starts in cup games against far weaker opponents, 20-year-old Ethan Horvath was finally given his big break in July of this year when he replaced first-choice Molde goalkeeper Ørjan Nyland midway through a league game against Stabæk, going on to keep a clean sheet in the next clash before returning to the substitutes’ bench. 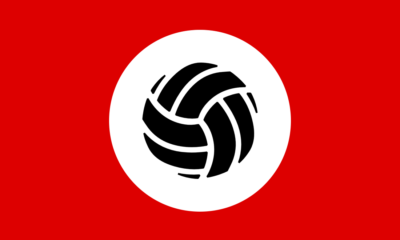 Just four games later, Nyland had departed for Germany, and Horvath, who had been impressing for the reserves, was immediately bumped up to number one. Since then the American has appeared in all but one of Molde’s Tippeligaen games whilst also impressing in the Europa League, leading many to tout him as a potential future replacement for Tim Howard when the Everton shot-stopper finally hangs up his boots. Analysis: One of Horvath’s main strengths lies in his height, which, at six foot four inches, he’s not short of, allowing him to command his penalty area and perform strongly in the air. Whilst lacking the athleticism of other, more slender goalkeepers, he possesses an impressive ability to read the flight of a shot to near perfection, allowing him to cover the required ground in the most optimal way instead of purely relying on his agility to pounce on the ball at the last moment. He also shows an incredible degree of calmness and maturity for a young player. Despite only having little over 30 games worth of first team experience, he never looks flustered or in a panic, especially when in one-on-one situations, allowing him to sit back and read the play whilst retaining faith in his ability to make the correct decision with his impressive footwork and reaction skills. His large frame also helps, and he knows when the exact moment is to come out and close down an opponent, making his body as big as possible to reduce the space at the optimal time. The only criticism of his current game is that his lack of athleticism can sometimes let him down when dealing with close-range shots, especially from set-pieces, as he is unable to get down quick enough. 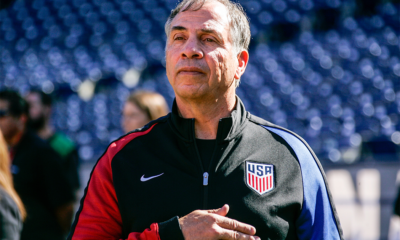 This is mainly due to his frame more than any technical deficiencies, but it is something that he will have to work to improve if he is to continue his rise towards the USMNT. 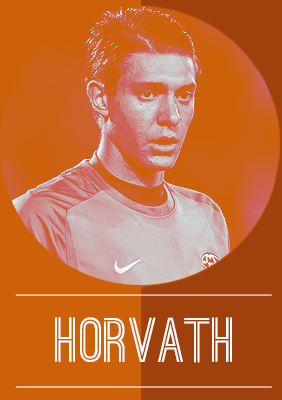 Looking ahead: The future looks incredibly bright for Horvath, who is now firmly the main goalkeeper at Molde. His club’s progression in the Europa League will present him with plenty of opportunities to hone his skills against some of Europe’s most impressive players, whilst playing in one of Norway’s best teams is only going to help him blossom into one of the league’s top talents. Introduction: Australia are blessed with a talented young ‘keeper in Mathew Ryan but their goalkeeping stock is hardly limited to him. Fast making a name for himself in Australia is 20-year-old Paul Izzo. 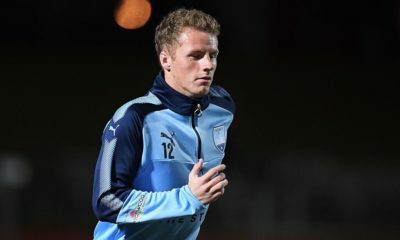 The youngster’s career started at the Australian Institute of Sport (AIS) before he was snapped up by Adelaide United. Unable to make the first team, Izzo was on the move again and is now part of the Central Coast Mariners. Analysis: Izzo ticks the fundamental boxes of shot stopping and positioning as you’d expect from most ‘keepers. The 20-year-old possesses good reflexes especially when standing tall. At 6 feet, he isn’t the tallest ‘keeper but he has a good spring in his armoury, something that stands him in good stead. 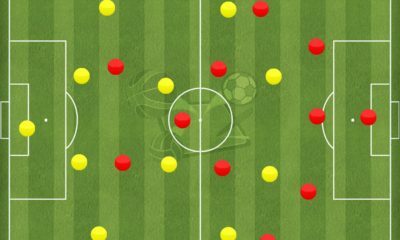 Command of the penalty area is another area where the youngster is competent if not spectacular. 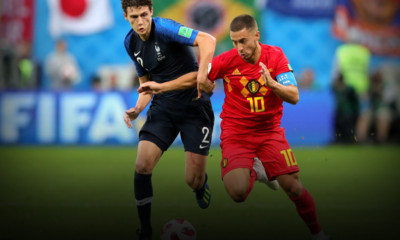 Izzo is assertive when it comes to dealing with crosses especially those driven into the “corridor of uncertainty” between the line of retreating defenders and himself. This proactive nature is a blessing for the defenders in front of him. However at just 20, Izzo still has some bulking up to do in order to become more of a menacing figure. Izzo also has a propensity to come off his line. Once again this assertiveness is a good quality to possess. As time goes on, it is all about fine tuning his reading of the game. Much is made of the sweeper keeper craze but it is a job that requires impeccable split second judgement. Looking ahead: The 20-year-old will be eager to follow in the footsteps of former Mariners Mathew Ryan and Danny Vukovic. 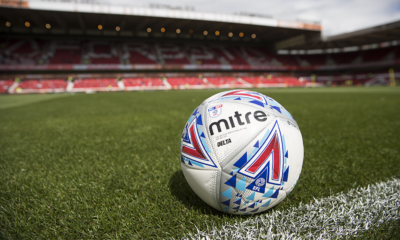 He now has a genuine shot at an extended spell of first team action after the Liam Reddy saga and will be looking to make the most out of the opportunity. Having already appeared for the age group teams, a senior cap will be a good goal to look at. Introduction: Rajkovic’s football journey has been spectacular and surprising at the same time, while he still remains at the tender age of 20. The Serbian was recognised by us in the 2015 version of this feature after he was part of Red Star Belgrade’s double winning squad. His quality was confirmed as he took the spot between the posts in Serbia’s 2013 U-19 Euros winning squad before topping it off with the Young Serbian Athlete of 2015 award (won previously by only one other player in this sport). And after that 2013 squad went on to secure the 2015 U-20 World Cup title, Rajkovic to the surprise of many, moved to Israeli club Maccabi Tel Aviv. 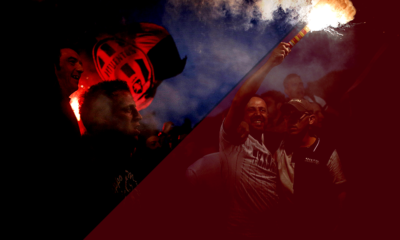 While many thought a better move was warranted, the temptation of Champions League football was hard to resist. 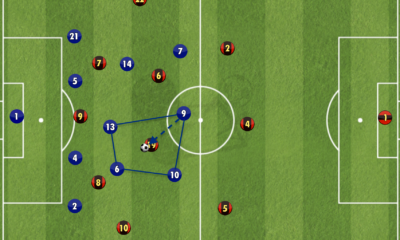 Analysis: What one won’t fail to notice is Rajkovic’s daring in coming out of his line to take control of situations, showing an immense command of his area. While ‘keepers this young are more cautious in their approach, one could easily embellish Rajkovic of being rash. But when such rash risks are more calculated in actuality, it shows the sign of a confident keeper, certainly one not expected in a ‘keeper as young as Predraj Rajkovic. 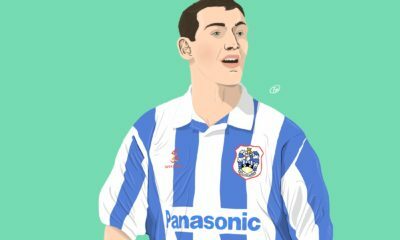 Having experienced regular first-team football with Serbia and the former Yugoslavia’s most experienced club, needless to say the 20-year-old has been part of football at the highest level. This regular action has been displayed in his performances, playing with a sheer maturity. A crucial member of what is considered to be Serbia’s golden ‘next generation’ of footballers, Rajkovic has experienced success at an early level, certainly more so than the world’s best keepers do at this stage. The incisiveness to rush out and claim one-on-ones is certainly a trait the youngster has been encouraged to capitalise on. This has certainly helped in him winning the mental battle in clashes when one-on-ones occur, putting opposition attackers off even if a complete claim of the ball isn’t made. This has further staked his reputation as a ‘sweeper keeper’ which is certainly a very modern goalkeeping attribute. At just 20, Rajkovic has also gained high repute in his abilities to save penalites, which again has a crucial mental aspect to it. 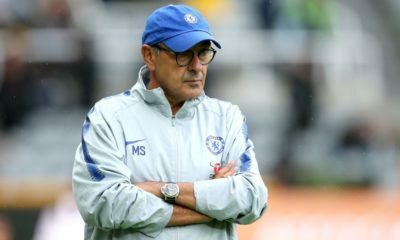 Looking ahead: The move to Maccabi Tel Aviv was tempting with the Champions League opportunities, ones that he took with open arms starting and completing all six of the group games in the sides’ campaign. 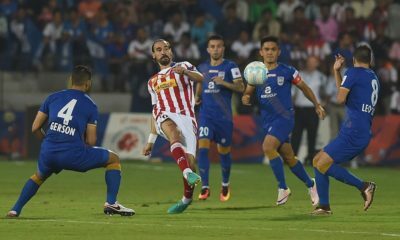 While the Israeli club may well be a stepping stone, the move has established his reputation in the game. 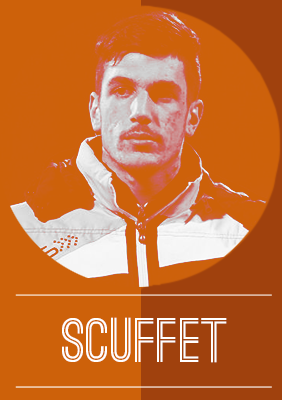 Introduction: A number of young players have emerged from Italy in recent years, but few have received the billing that Simone Scuffet has. The keeper made his debut for Udinese at the age of 17, when he was still a schoolboy thanks to injuries to those ahead of him. He performed well, and never looked back from there, with many comparisons to a certain Gianluigi Buffon. During the U17 World Cup in 2013, he was listed by FIFA’s technical committee as one of the 5 keepers to watch out for. His rise was meteoric enough for there to be a debate about his inclusion in the 2014 World Cup squad. While he didn’t travel to Brazil, he did receive, and turn down, an offer from Altetico Madrid too in the summer of 2014. While the 2014-15 season did see him drop to the bench, he has made his way to Calcio Como on loan this season in order to pick up vital playing experience. Analysis: Scuffet made an immediate impact in his debut season for Udinese because of the amazing saves he made. His main selling point are the excellent agility, athleticism, and reflexes he shows between the sticks to keep the ball out. His handling too, is very safe and risk free, which can never be considered a downside for a player in his position. Being the risk free keeper that he is, one hardly ever sees him charge out of the box in the now famous ‘sweeper keeper’ way. He’s prone to standing his ground, and spreads himself well, making full use of his 1.87 metre frame. He also seems like a much smarter person than a lot of his contemporaries. He turned down a move to Spanish giants Atletico at the start of last season in order to develop further with playing time, a wise choice no doubt. Looking ahead: After a brilliant start to his career with Udinese, Scuffet did get relegated to the bench last season, with Orestis Karnezis coming in to take up the starting berth, and doing well enough to justify his place. But this shouldn’t be discouraging for the youngster, after all, Buffon too, returned to a role of a backup after a brilliant debut. He’s currently gaining experience at Como, and is still just 19. He’s already turned down the advances of Atletico Madrid, and the likes of Roma, Juventus, and Arsenal are also said to be eyeing his situation keenly. With the sort of talent that Scuffet has, he surely will have a number of high profile contenders for his signature when he decides it’s time for him to move. Until then, he needs to focus on his job at Como and possibly Udinese.